Born November 22, 1931, to Marion and Minnie Irick in Holton, Kansas. The third son of five sons and a daughter. Harold (Audrey), Howard (Ruthann), Hollis, Helen Schroder (Lou), and Harry (Renee). Bud grew up in Northeast Kansas where he learned to work hard and enjoy God’s creation. Traits he was faithful to pass on to his family. On June 18, 1950 he married Ruth Hatfield in Valley Falls, Kansas. They had three sons and a daughter while living in Kansas and Missouri. Dwight (Bettie) of West Jordan, Utah, Mike of Colorado Springs, Colorado, Cindy Munger (Stephen) of Etna, Wyoming, and Scott (Cindy) of Westminster, California. There are nine grandchildren and sixteen great-grandchildren. In the early 1950’s Bud began in the printing trade. Where he apprenticed in stone engraving. California. Later he purchased and ran several newspapers in Southern California. In 1964, Bud and Ruth moved to Southern California. While raising their family, Bud served several years as Scoutmaster investing in the lives of many young men and their fathers. The Scout Troop under his direction made canoes and canoed portions of the Colorado River and Lake Powell. Bud also attended and served in the various churches where ever he lived. Teaching Sky Pilots, cooking and serving Easter Breakfasts, and encouraging others. 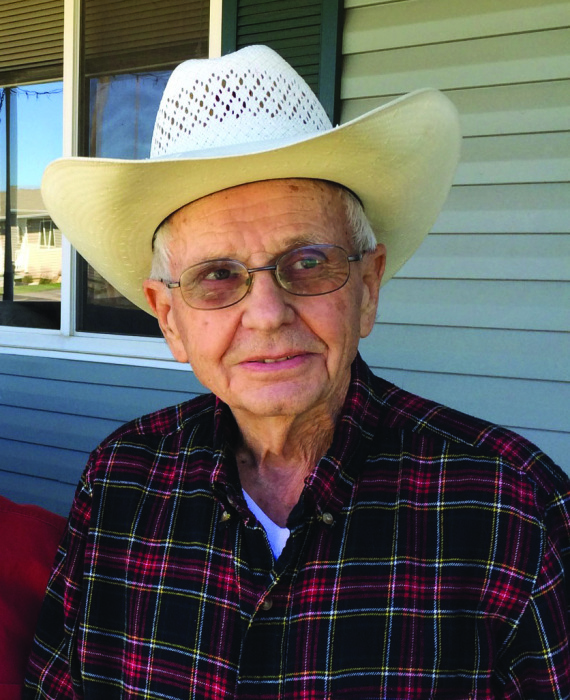 After retirement Bud and Ruth moved to their home in Afton, Wyoming where he continued to enjoy travel, his family, and meeting new friends. Photography was a life-long passion. Bud enjoyed working with wood, restoring and building furniture, helping his sons and grandsons work on cars and tractors. Family fishing and camping trips included the Ozarks where they enjoyed their sailboat, Lake of Woods on the Canadian border, many National Parks, hiking and backpacking in the Sierras and Wind River Range. Some of his favorite travels after retirement were to Hawaii, and cruises to Alaska and the Bahamas. home to glory on the morning of March 16, 2019, trusting in his Redeemer, Jesus Christ. Memorial Service with luncheon following will be 11:00 a.m., Saturday, March 23, 2019 at Emmanuel Bible Church.